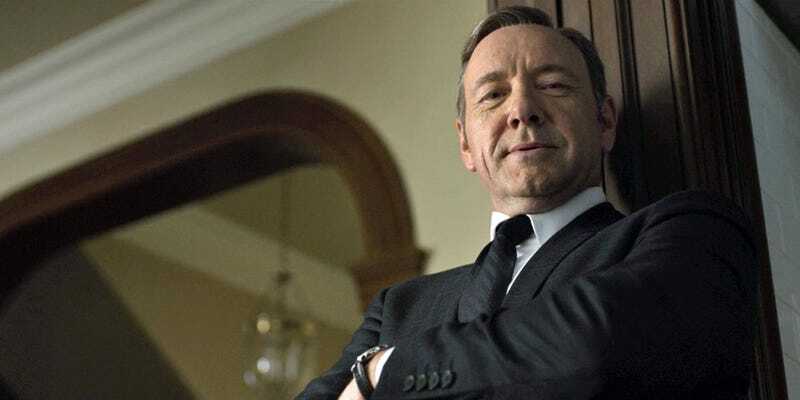 The Next Call Of Duty Stars...Kevin Spacey? UPDATE - Looks like Spacey is actually in the game. Way more here. There was a bunch of Call of Duty stuff teased earlier today that, yawn, was about as interesting as watching people complaining about Call of Duty. This little trailer, though, is interesting. If there's one thing that could revive my interest in this most flagging of franchises, it's by injecting a little House of Cards in it (not literally of course, that's not Frank Underwood, but the tone and the timing of the casting says it all). We can't confirm that this is Kevin Spacey, since it's just a tease with no hard information attached (the game's full reveal is on Sunday), but come on.